Narcissus is one of those brand of soliflores that people either love or hate. I have yet to encounter a happy middle ground. On the face of it, it would seem that any floral accord which strays into the province of the indolic runs the risk of alienating certain people who “think” they like white florals when what they truly like are scrubbed-up florals done in cosmetics labs. Real flowers aren’t hygienic-smelling at all. They grow in the dirt: they co-exist with decaying plants, animals, and minerals. They have “complexity” in their blood, or roots, or phylum or whatever you call it. Prada’s No. 5 Narciso, one of the quietly released perfumes available exclusively in select Prada boutiques and Liberty of London, is, like its bedfellows Oeillet, Fleur d’Oranger and Cuir Ambre, a vintage-styled gem. This is narcissus in the late morning, when you take a few steps in the kitchen yard and run your hand through the green stalks. The perfumer manages here to imbue the green-sweet-polleny solvent-extracted narcissus poeticus note with a certain sunniness, owing to the inclusion of orange blossom absolute, beeswax absolute and narcissus tazzeta. If that isn’t special enough, after about fifteen minutes on my skin the vetiver peeks through the flowers, dry and spicy, mimicking human perspiration. All in all, this is a very human scent, neither vaunting prettiness or brute strength. (Personally, I’d have gone with some oakmoss in the base for a chypre effect.) It speaks clearly and, on a warm summer morning, you find yourself listening. Not to mention a steal for extrait at, what, $150? This is so enjoyable and I am always surprised at its lasting power. The first time I wore it, it seemed to vanish. But the last time I wore it, I recall getting whiffs of it up to 12 hours later, which is miraculous in no uncertain terms. Not sure I would like this taken into more of a chypre territory. As it is, its quite masculine in feel to my nose, something I didn't really expect but was pleasantly surprised to encounter. If only more male-targeted scents smelled like this. I do wish there was just a bit more of the mown-hay quality of the narcissus detectable, a drop or two more of absolute would have taken care of that. 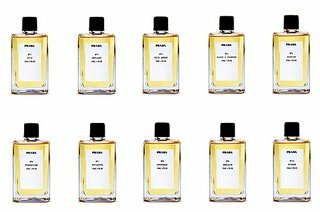 I sort of wish these Prada extraits were a bit more readily available, but then again - they're very elusive which is also appealing to me. Makes them even more special, unlike, say Acqua di Parma, whose next step could very well be working its way onto the shelves of the Beauty Aisle at Whole Foods and Wegmans. Oh God, I've been DYING to try this for forever!! This and the oiellet have been tempting me since I found out about them over a year ago, and yet only Cuir Ambre has ever shown up on the Perfumed Court. I must I must sample!! Yes, to answer you both, availability is the sticking point on these "private" perfumes. Is something exclusive if practically no one knows about it? 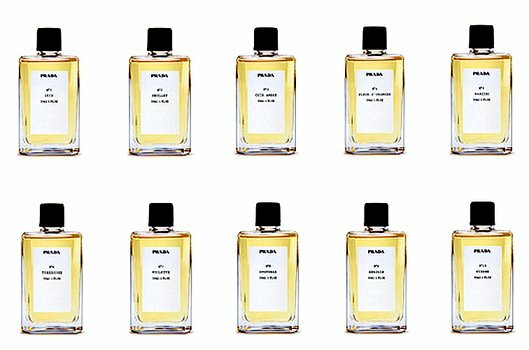 Good news, though, is that the new Prada Infusion d'Homme (with wide distribution) is very good indeed.